Shares in Canadian marijuana company Tilray Inc. were halted on the Nasdaq Wednesday after they doubled in two days. Tilray shares soared one day after the licensed producer said it got approval from the U.S. Drug Enforcement Administration to export a cannabis drug to California for a clinical trial. The New York-based stock exchange temporarily halted all trading in the company after volatility triggered circuit breakers — automatic rules that shut down trading once certain limits are reached. The Nanaimo, B.C., company's stock opened at $211 US Wednesday, and before being halted it flirted with the $300 level. That was in the last hour of trading, however, when circuit breakers shut down trading five separate times. The stock was incredibly volatile over the final hour, at one point trading at $152 — below where it had started the day. But by the time markets closed at 4 p.m., the stock closed at $214. Wednesday's volatile trading follows a nearly 30 per cent jump on Tuesday after Tilray announced it got the green light to export cannabis in capsule form to a researcher at a university in the U.S., where the drug is still illegal at the federal level. 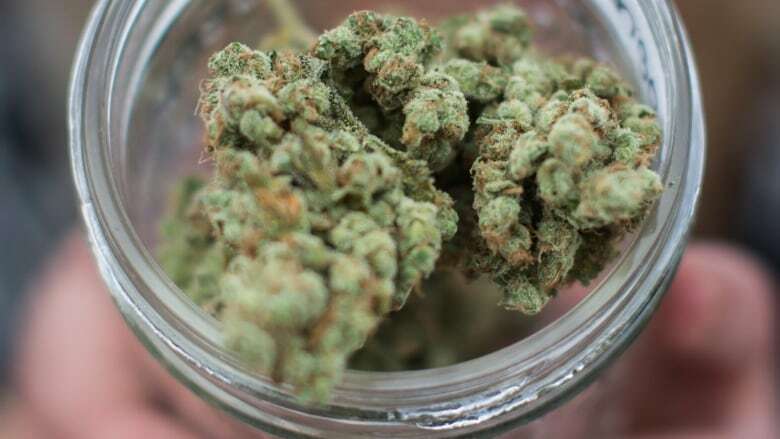 The company will be exporting capsules with two active ingredients extracted from the cannabis plant for a clinical trial as a potential treatment for essential tremor, a neurological disorder that causes uncontrollable shaking. 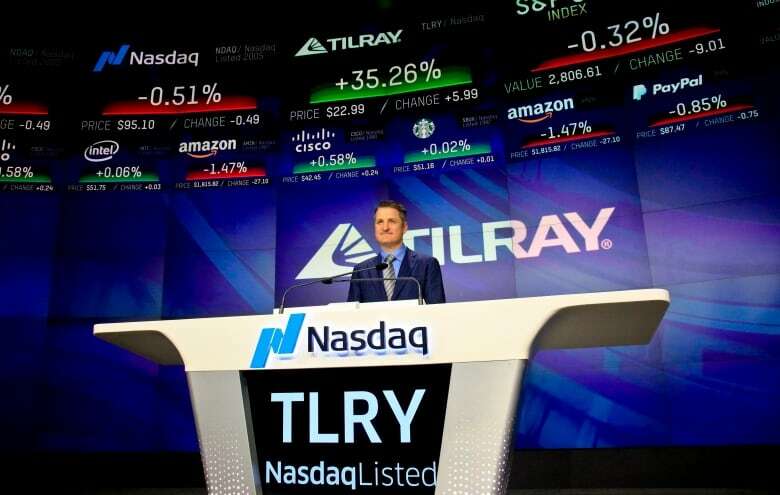 Tilray completed its initial public offering in July with its shares priced at $17 US per share. The licensed producer was valued at almost $20 billion US based on Wednesday's stock action. Canopy Growth, which had been the largest cannabis company based on market value until Tilray surpassed it, had a market capitalization on Wednesday afternoon of just under $11 billion on the New York Stock Exchange. TSX-listed Canopy, based in Smiths Falls, Ont., is still the biggest marijuana company in the world in terms of production and sales, but the hype around Tilray has driven up its market capitalization, in large part because it is one of the few producers whose shares are listed in the United States — making it easier for U.S. investors to buy.